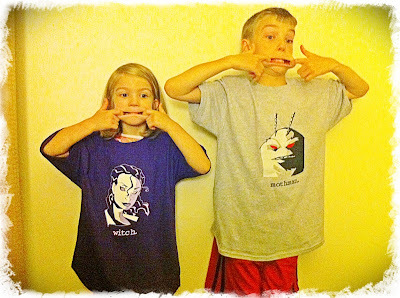 perhapablog... and other ramblings: baltimore comiccon exclusives~! steve gatrost and~wait! what's that?!?! choopie by jennifer bennett at handmade stuffs~! first, go over to TALES FROM THE PERHAPS since part 5 of scott weinstein's "We Interrupt Your Regularly Scheduled Program..." is now UP!! featuring artwork by the awesome jason copland! as rich and i try to wake up and hit the road for the baltimore comiccon this bright, shiny a.m.--well, he's up, apparently he's a morning person, i'm doing my best to stay at least a little bit asleep--we're looking forward to both the trip and to seeing everyone at the show! but, here, this bright and early friday morning, i am able to announce to you all for the first time (mostly 'cause we weren't sure we'd actually HAVE these items together for the show...) that we we have not one, but TWO new PERHAPANAUTS T-SHIRTS available featuring our lovely--and psychic--team leader, ARISA, and the always ready, always able KARL the MOTHMAN in all your favorite sizes! though we were only able to pick them up at the last minute--which is why our photos are both few and scary--karl is printed on a festive grey background, while arisa mounted on a purple background. arisa is also available in both t, and ladies fitted tee, so get one of each! the two new additions to our t-shirt line will be exclusive at the baltimore comiccon this weekend and then made available here in our store in the weeks to come! you know you want one--don't miss out! 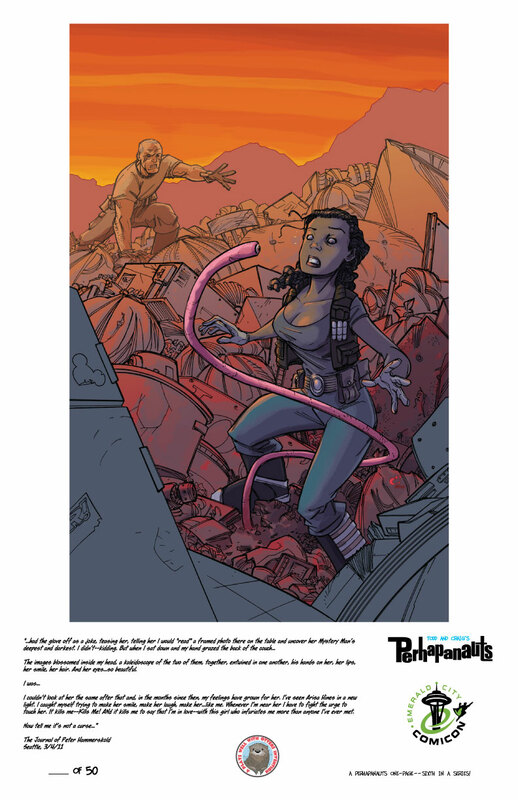 also an exclusive; we will also be featuring at this show the PERHAPANAUTS One-Sheet Convention Prints Collection! all eight gorgeously illustrated special con prints available together for the first time at new, low price of only $30 for the set! this is a fantastic offer and a chance to pick up some beautiful pieces by craig! Save me a Karl XL, please?! Have a great time at the show, guys! 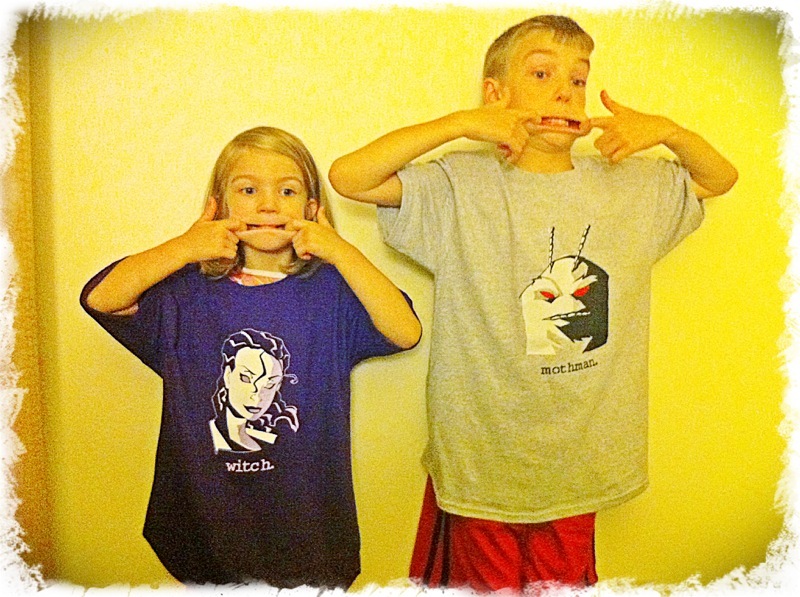 The only thing better than your t-shirt models is this week's Tales of the Haps. Have a great time in Baltimore. Is there any way to get a print of your cryptid art other than attending Baltimore ComiCon? 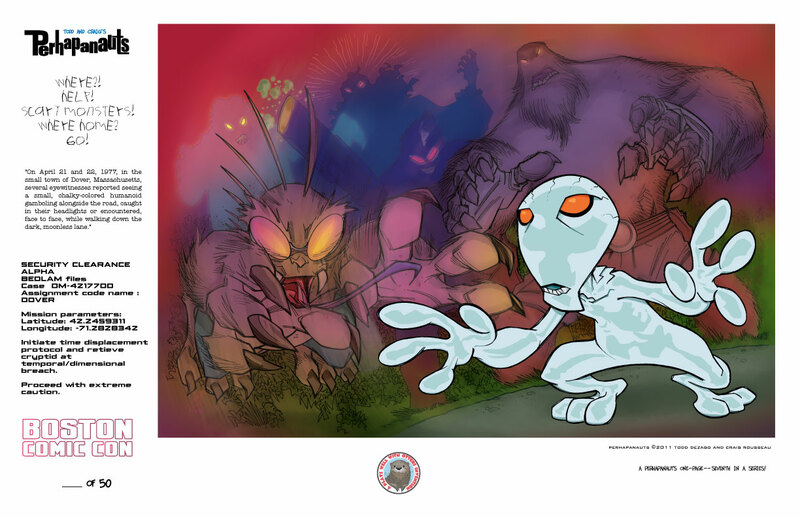 I wrote a children's book called TALES OF THE CRYPTIDS and a new book called IN SEARCH OF SASQUATCH so you can see why I need one of your prints for my office wall. Help?